Main interventions: Secchia Viaduct; Via Emilia underpass; railway underpass; noise barrier; numerous underpasses, including FS 12 Abetone, FS Sassuolo and Fornace; Corlo and Archirola culverts; 6 new overpasses in addition to the Vignolese overpass; bridges on the Panaro river and the Samoggia river. The contract was completed ahead of the contractually established schedule. 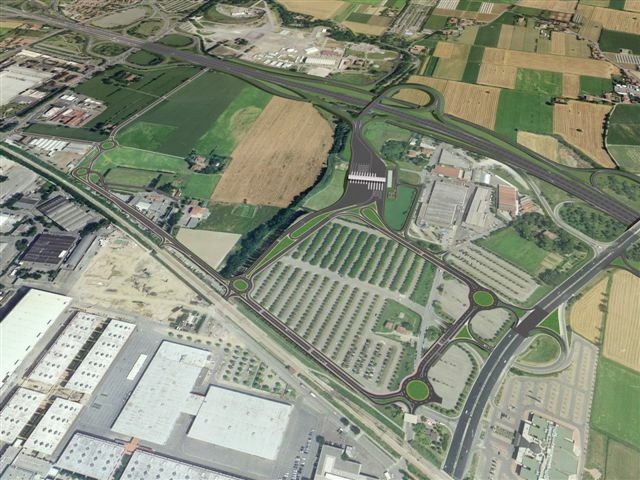 Infrastructure works aimed at enlarging the A1 Milan-Naples: expansion from 3 to 4 carriageways plus the emergency lane - the section from the interchange ramps with the A22 Modena- Brennero to the A14 in the Bologna- Borgo Panigale section. This section has high peaks of traffic and acts as a junction between the two main backbone routes connecting the north and south of Italy. During the execution of the works, the three carriageways in each direction preceding the worksites were kept open to traffic.